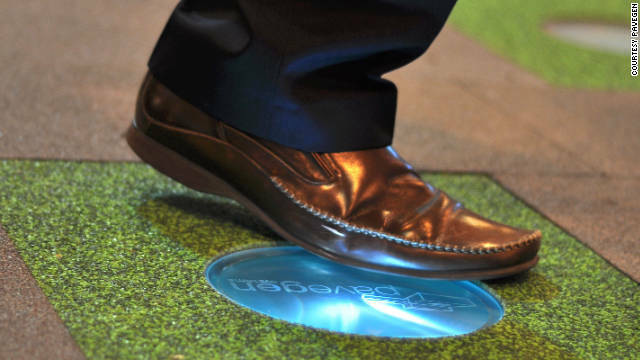 A company in England has come up with a paving tile that harvests the energy from footsteps. Pavgen has developed technology that converts the kinetic energy from foot steps into electricity that can be stored and used for a variety of applications. The tiles are designed to compress 5 millimeters in order to collect the energy. Above is the new map NextEra Energy has provided showing the area they are considering for their wind farm. This is the latest map provided to the Marshall County Economic Development Corporation (MCEDC). NextEra has moved the area they are considering further east than originally planned due to some of the concerns that have been expressed. 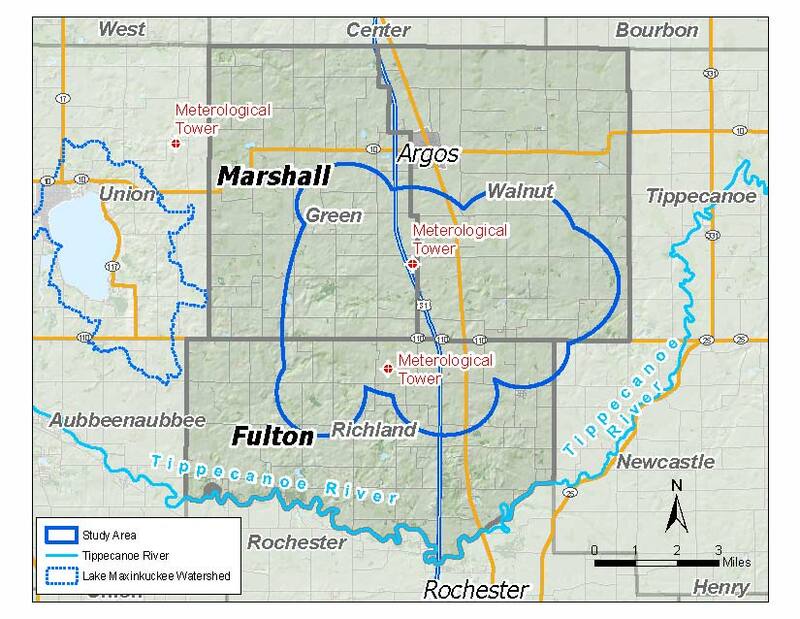 This map shows not only Lake Maxinkuckee, but a delineation of Lake Maxinkuckee’s watershed boundaries. As currently planned, there would be no towers within the watershed or within Union Township. I am pretty much putting this up here for informational purposes without much comment as it doesn’t really change my thoughts expressed here and here. I had a brief conversation about this with the County Plan Director, Ralph Booker, today at the Broadband and Bagels event. He asked me if Culver was still planning to lynch him. It’s obvious that Culver as a community is straining some relationships with the County over this. I hope this doesn’t create a rift that makes future projects such as the recently completed Town/County outlet project impossible. Tonight at the Culver Town Council meeting the Culver-Union Township Fire Department (CUTFD) received permission to purchase a Neoteric Hover Craft. For those of you interested in some specs, here you go. 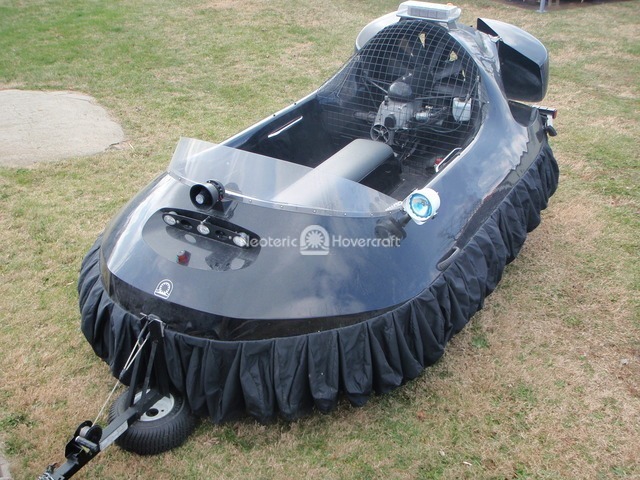 These are from the Neoteric website: This is a nearly new rescue hovercraft, with only 8 hours of operation. The craft has inline seating for four, and comes with a siren, PA system, 400,000 cp searchlight, red and blue LED light bar, rescue lift system, and stretcher mount. The engine is a 65 HP model with fuel and oil injection. Okay, so do you have a better idea? Enter yours in the comments if you like. 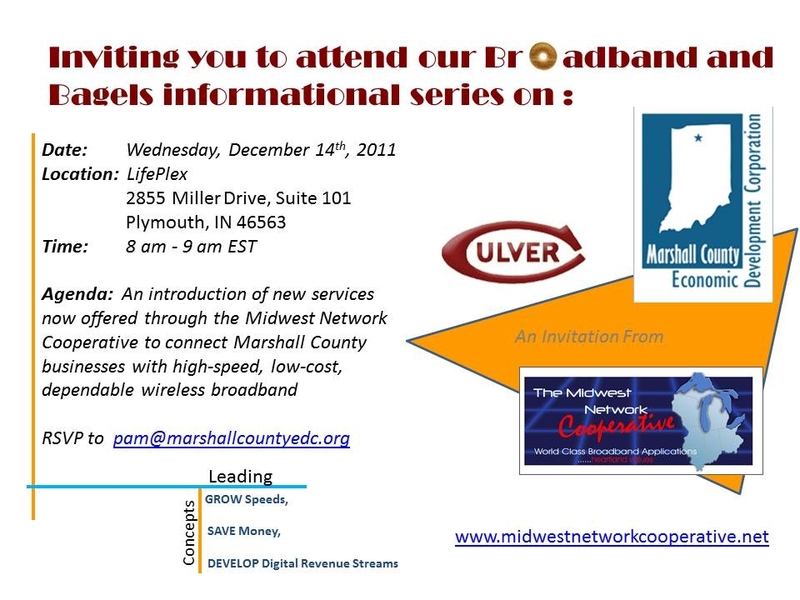 Marshall County Economic Development Corporation (MCEDC) is sponsoring an educational meeting to discuss the broadband wireless internet service being utilized by Culver Academies as well as others in our area. The hope is that this is another way of getting broadband service throughout the county. If you have a need for broadband internet, you should attend this event to see if it fits your needs. It is being marketed as a co-op service so increased participation lowers costs! If you’re interested in attending, contact Pam Davis at MCEDC. Indiana became a state on this date in 1816. I keep coming back because you are trustworthy, keep your word and do a thorough and complete job without anyone looking over your shoulder. I can remember where that was the normal practice but in today's dog eat dog world, it is great to find a company like Easterday Construction.